A coalition of consumers and health care groups is asking the Food and Drug Administration to revoke its approval of a powerful new opioid. Critics say the potential dangers of Zohydro outweigh its value as a pain killer. Guest host Elise Labott and her guests debate the use and abuse of the new drug. Dr. Michael Carome Director, health research group Public Citizen. Laura Sullivan Correspondent, NPR Investigations. Dr. Aneesh Singla Medical director, National Spine and Pain Centers. Dr. Andrew Kolodny President, Physicians for Responsible Opioid Prescribing. Judy Foreman Chronic pain patient; health journalist; author of "A Nation in Pain." MS. ELISE LABOTTThanks of joining us. I'm Elise Labott of CNN sitting in for Diane Rehm. Diane's out for a voice treatment. 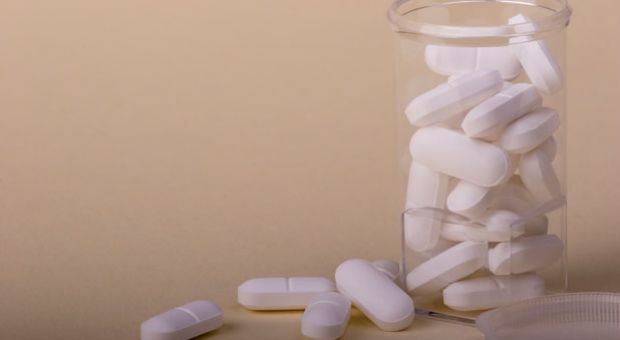 A coalition of health experts, drug prevention specialists and consumer advocates yesterday wrote to the FDA commission arguing the agency's decision to approve the powerful painkiller Zohydro requires "urgent revision." MS. ELISE LABOTTJoining me in the studio to talk about what approval of the new opioid could mean for patients and concerns over potential misuse, Dr. Michael Carome of the health research group, Public Citizen, Laura Sullivan of NPR and Dr. Aneesh Singla of the National Spine and Pain Centers. We want to hear from you. We'll be taking your comments, questions throughout the hour. MS. ELISE LABOTTCall us on 1-800-433-8850. Send us an email to drshow@wamu.org. Join us on Facebook or Twitter. And thanks for joining me. Dr. Singla, let's start with you. What is Zohydro? Let's talk about what it does that these other opioids don't. DR. ANEESH SINGLASo Zohydro is a drug that is basically a formulation of an existing drug out there called hydrocodone. What the drug does is it packages the hydrocodone in and extended release formulation without acetaminophen, also known as Tylenol and allows the drug to be dosed twice a day for around the clock chronic pain. LABOTTSo how powerful, how strong is it when you look at some of the other opioids on the market, let's say, vicodin, for instance? SINGLAWell, actually, vicodin is exactly the same medication as hydrocodone. Hydrocodone, vicodin, they're synonymous. But the exception is that vicodin is packaged as a combination drug, which is hydrocodone and acetaminophen. LABOTTBecause I took vicodin several years ago oral surgery, for instance, and I mean, I was zonked out. And I've read that this is maybe five to ten times as much hydrocodone as vicodin. So what kind of patient are we talking about that's going to be using this kind of drug? SINGLASo I think that the type of patient that's going to use this drug is a patient that's in chronic pain, not acute pain. So, for example, a patient that has surgery, that pain is expected to be acute and it's going to last a few days, maybe a few weeks and then it's going to hopefully be gone. So we wouldn't expect that type of patient to need Zohydro because Zohydro is meant more for the chronic pain patient who's in constant pain, around the clock pain, who's going to need chronic long term dosing of the drug hydrocodone. SINGLAAgain, it's packaged in a different formulation so instead of having to take the vicodin, for example, the hydrocodone that's available now as a every four to six hour drug, it's available to take once every 12 hours. LABOTTAll right. Dr. Carome, let's talk about the approval process here for this specific drug and other opioids at the FDA. DR. MICHAEL CAROMESo this is a drug that we believe the FDA should not have approved and they acted recklessly and not in the best interest of public health by approving it in October of last year. They made that decision and basically rejected the advice, the overwhelming advice, of their advisor committee that reviewed this drug, which voted 11 to 2 against approval, concluding that the risks of the drug outweighed its benefits. DR. MICHAEL CAROMEYou know, most drugs that are approved by the FDA, they do not come before an advisory committee and only those that raise unique concerns for which the agency wishes to seek advice come before an advisory committee. And so when they brought this, there obviously were concerns about this drug and upon hearing those concerns and deliberating, the advisory committee got it right. DR. MICHAEL CAROMEThey voted 11 to 2 against approval and we are greatly disappointed that in the midst of a great opioid addiction epidemic, the last thing we needed was another drug like this on the market. LABOTTHow common is it, or uncommon, to vote against the recommendations of an advisory panel? CAROMEWell, any federal agency, including the FDA, is not obligated to accept the advice and recommendations of that advisory committee. But in general, they usually accept and go in the direction that the advisory committee recommended. And when there are close votes, you know, close to being tied, it's more likely that they might go against the advisory committee. CAROMEWhen you have such an overwhelming majority here, it's less common. But it's not unheard of for such a strong vote to be overruled by the FDA. LABOTTLaura, you had an excellent report on NPR the other day and tell us a little bit about the concerns you addressed, that the drug manufacturers might have improperly influenced the FDA in this process. MS. LAURA SULLIVANSo this is a situation that goes back almost 10 years to a series of meetings that FDA officials had with drug companies that make pain medicines and this is a controversy that came to light last fall when a series of emails were released through a public information act requests and it showed that FDA officials were going to these meetings that were put together by two professors and they were sitting behind closed doors in a relatively small table with other academics, but with the FDA and the pain drug companies. MS. LAURA SULLIVANAnd they were creating new ways to do drug trials. They were doing research and they, you know, the people that I've talked to now that were at the meeting say that this was on the up and up. But the problem is that the drug companies were paying to be there and the other problem is that they were not inviting -- it wasn't open to the public. MS. LAURA SULLIVANThey were not inviting people who were advocates for public health or people who were concerned about pain, you know, the addiction some of these drugs. So the problem that -- how that ties into this drug Zohydro is that Zohydro's original manufacturer was at those meetings. And that has raised a lot of concerns for people that that, in the very least, raises a question of whether or not there was a conflict of interest there. LABOTTDid they specifically speak about the risks and benefits of this one drug? SULLIVANSo the FDA in its response to my questions -- they declined my request for an interview, but they said in a statement that they did not ever deal with specific drugs. Zohydro never came up. They were never talking about specific drugs, that they were there to talk about the research of these drugs and the kind of clinical trials that goes into these drugs as a whole. SULLIVANHowever, at the same time, the kind of clinical trial process that came out of these meetings was the kind of clinical trial process that Zohydro used and some of its critics say helped get it approved. LABOTTAneesh, let's talk about what is the mission of the FDA in approving a drug like this. I mean, is it a broad mission to consider some of the larger issues about opioids and potential misuse and abuse or are they specifically have a narrow mission her to determine whether this particular drug is safe and effective? SINGLAWell, I think that so some degree it's more the second. They want to look at clinical trials, for example, phase one, two and three to determine the effectiveness of a drug, the safety of a drug and whether the drug actually does what it's supposed to do. So I think that -- but at the same time, I think that they have a responsibility to make sure that the public is safe. SINGLAAnd opioid overuse and abuse is a huge epidemic so I think that to some degree, both of those are responsibilities of the FDA. I just want to point out that interestingly, the FDA, when drug manufacturers wanted to come out with a generic form of oxycontin, the FDA actually did not allow that to happen. That was not approved. And again, same kind of idea. SINGLAThe oxycontin was a huge drug of abuse due to its crushable form and then it became a tamper-resistant or a crush resistant type of formulation. LABOTTWhat is crush resistant and crushable forms? How does factor into this? SINGLASo there's newer technologies that prevent -- well, when you take a drug, let's say Zohydro, and you take, as you said, it can contain maybe 10 times the amount of a five milligram pill of vicodin or hydrocodone. That's the 50 milligram pill of the Zohydro. And you take that and you crush it, you can get all of that drug all at once. And so therefore, it increases your risk of an overdose and I think that's one of the bigger concerns is can people potentially abuse this drug. SINGLABut going back to oxycontin, when the manufacturer came out with the tamper-resistant or the crush-resistant formulation and then other companies applied for the generic for oxycontin, the FDA did not allow that. So it's interesting that this time around they did. LABOTTAnd Michael, you've said that people are going to die from this drug. Why do you say that? CAROMEWe know that in the highest capsule dose form of Zohydro, which would be 50 milligrams, which is a huge, whopping dose, that someone who is not used to taking these type of opioid drugs were they to ingest -- and adult to ingest two of those, they could die from an overdose. If a child, a young child, accidentally found a pill lying around and ingested it, the 50 milligram, the 40 milligram, maybe even a 30 milligram dose and chewed on it, they would get a sudden load of high dose of this opioid and that could kill the child. CAROMESo this is the last type of drug we needed on the market. We believe that the FDA -- we have one part of the U.S. public health service, the Centers for Disease Control and Prevention telling us we in the midst of an epidemic of opioid addiction that's killing thousands of people. At the same time, we have the FDA, another arm of the U.S. public health service that knows about that epidemic and they allowed this drug to come on the market. CAROMEIt's only gonna further fuel that epidemic. And we needed -- what they should have done is wait until a formulation of this drug was available that was tamper-resistant. What's troubling is I spent some time yesterday looking at the transcript for the advisory committee meeting that considered this drug and during that meeting, the representative -- one of the representatives from Zogenix said that their target for the number of patients who were going to need this drug is about 90,000. CAROMEAnd they said that the DEA, the Drug Enforcement Agency will have a quota and that's what the quota will be. But first of all, that quota can go up as demand for drug goes up so it's not inflexible. But more importantly, I note that in Laura's story yesterday at NPR, we had Dr. Brad Galer, who is the chief medical officer for this company, made two incredible statements -- are attributed to him. CAROMEOne is he says, millions of people legitimately need this drug so millions plural, that far exceeds 90,000. He also said within three years, they'll be introducing a non-crushable version of Zohydro. Obviously, they must believe a non-crushable form would be safer so they ought to wait until that's available before bringing this product to market. LABOTTWe're gonna take a short break. When we come back, more on the use and potential abuse of Zohydro. Your calls, your questions, stay with us. LABOTTAnd welcome back. I'm Elise Labott sitting in for Diane Rehm. We're talking about the new opioid drug Zohydro and the debates over its use. Joining me in the studio, Dr. Michael Carome, director of the health research group Public Citizen. Laura Sullivan is a correspondent with NPR Investigations. Dr. Aneesh Singla is the medical director of the National Spine and Pain Centers. And joining me now from his office in New York is Dr. Andrew Kolodny. He's president of the group Physicians for Responsible Opioid Prescribing. Thanks for being with us, Dr. Kolodny. DR. ANDREW KOLODNYThanks for having me. LABOTTLet's talk a little bit about what you think the risks and benefits of these long acting opioids are and what are your problems specifically with this drug Zohydro? KOLODNYWell, you know, I think that there are reasons to be concerned about Zohydro that go well beyond the fact that it's easy to crush and so lethal because it packs the whopping dose of hydrocodone in it. One of the reasons to be concerned about this product is that the population of patients the manufacturer is targeting are chronic pain patients. And when it comes to treating chronic pain, chronic non-cancer pain with an extended release opioid medication, we actually don't have evidence that the benefits are going to outweigh the risks. KOLODNYIn fact, we've got good evidence that for many patients it's the reverse, that the risks outweigh the benefits. We know that if you take opioids long term for chronic pain problem -- and when I say chronic pain the majority of the patients we're talking about here are people with low back pain and the normal spine. When someone with low back pain is put on long term opioids, they may get some relief at first, but to continue to get analgesic effects, to continue to get pain relief many patients will have to continue to up the dose. And as the dose gets higher and higher what we often see is declining quality of life and a decline in function. KOLODNYSo the very population that's being targeted, even if they take this medication exactly as prescribed, they're likely to be harmed by it. And of course I'm leaving out one of the other very serious concerns about using a drug like Zohydro long term. Opioids are highly addictive. Opioids are a class that include heroin. And if you are taking a highly addictive drug on a daily basis for a long period of time, many people will in fact become addicted to the drug. Which as Dr. Carome mentioned, will only serve to worsen this epidemic of opioid addiction that we're dealing with right now. LABOTTWell, how do you answer patients and doctors who say, listen this drug is something special. It doesn't contain acetaminophen, for instance, as Dr. Singla mentioned, which is known to cause liver disease in some patients, and that they need something like this? KOLODNYWell, opioid medications are very important medications for easing suffering at the end of life and when you take them -- a short-acting opioid for severe acute pain, for example after surgery. But taking them long term, again, is not going to be helpful to most patients. But the argument that this medication is somehow safer than vicodin because it is lacking acetaminophen or Tylenol isn't really true. And even for the patients who have a liver problem, can't take a drug like Tylenol, there are already many different opioid formulations on the market that have no acetaminophen in them. So there are plenty of options for patients that can't take Tylenol. LABOTTI mean, Zohydro is intended for a very narrow patient base. You know, as we said, these people with very acute and chronic pain. But even given this narrow patient base, once the company markets a drug like this, surely they need to make their money back. What is the likelihood that this is going to be used for more serious problems like arthritis for instance or just some lower back pain or nervous conditions like fibromyalgia? KOLODNYWell, that's exactly what the manufacturer is going to do. In fact, they've been communicating to their investors as they've been working on this product that there are 100 million Americans with chronic pain. And that population, that 100 million Americans that they're talking about, we're talking about common, moderately painful conditions. That's who they're targeting for this product. It's for chronic, non-cancer pain. KOLODNYAnd when you look right now in the United States at the population of people that are on long term opioids, again the majority of them are individuals who have these common moderately painful conditions like low back pain, fibromyalgia and chronic headache, three conditions where the experts who study them will tell you that opioids are far more likely to harm patients than help them. LABOTTNow this has been labeled a controlled substance under Schedule 2 with the most stringent rules about prescription, refills. And the FDA said it was looking at some of these other opioids to put them in this class too because they were concerned about this epidemic that you mention. What's the status on that? KOLODNYWell, vicodin, which has a much lower dose of hydrocodone in it than Zohydro and is combined with acetaminophen, has been in the wrong classification. It's been a Schedule 3 drug. And that was just because of a mistake that was made 40 years ago when the drugs were being categorized. And it actually took about ten years to get FDA to issue a scientific recommendation to have that drug pinned to the correct category. Zohydro, because it's a pure form of hydrocodone, would already be a Schedule 2 drug. KOLODNYBut again, it's important to recognize that Schedule 2 drugs are highly addictive so that even patients who take them exactly as prescribed are capable of getting addicted. And something else that's important to keep in mind is that even if Zohydro were made crush resistant, making it crush resistant would not make it less addictive. Most people who become addicted to pain killers become addicted through swallowing their pills whole. KOLODNYNow there are some people with the disease of opioid addiction who ultimately start to crush and snort or inject their pills. But many, probably most people who are addicted to pain killers are swallowing their pills whole. So a crush resistant or a so-called abuse-deterrent pill is not a less addictive pill. LABOTTDr. Andrew Kolodny. He's president of the group Physicians for Responsible Opioid Prescribing. Thanks so much for being with us, Dr. Kolodny. LABOTTWhat do you think about what Dr. Kolodny was saying, Aneesh? I mean, he seems to think that this drug is instantly addictive. And the people that actually would be intended for could get addicted and it won't help them that much. SINGLAWell, I think that he makes some very interesting and excellent points. But, you know, as a pain specialist we see patients in chronic pain. And as empathetic and caring physicians we have to try to do things to help them. We try to employ a multimodal approach. One modality is medications. And of medications there's opiate medications and non-opiate medications. And so I think that opiate medications are -- they have risks but they have benefits. SINGLAObviously if the risks outweigh the benefits, we as pain specialists need to be very careful to mitigate those risks so that the benefits now outweigh the risks. And so that's what we try to do as pain specialists. At National Spine and Pain Centers what we really try to do is risk stratify our patients when they come in to see us. We try to objectively figure out what the pain generator is. Is it the spine? Is it a herniated disc, a pinched nerve, arthritis of the spine? SINGLAAnd once we figure those out through objective modalities, for example, imaging, studies and other modalities, we can then formulate a comprehensive treatment plan, of which opioids may be a part of. And in some cases they may not be a part of. In addition, in terms of opioid dosing, Dr. Kolodny mentioned that upping the dose was one way to treat patients who exhibit tolerance to a drug. SINGLAWell, there's also other ways to treat that, for example, opioid rotation. Once you get to a moderate dose of an opioid, if it no longer demonstrates efficacy you can then rotate the opioid to another opioid, again at a moderate dose which can then be effective because they work on slightly different receptors in the body, different endorphin and opioid pain receptors. LABOTTLaura, let's talk a little bit about the fact that this is law enforcement. It's -- agencies and also district attorneys' offices across the country have voiced a lot of concern about this drug. SULLIVANYes. Twenty-eight attorneys general have said that they do not want this drug on the market. And police departments across the country are also saying they don't want to be battling this drug on the street either. The other day I spent some time with an undercover officer with the narcotics division at the Prince Georges County Police Department in Maryland. SULLIVANAnd she was saying that drug addicts always find a way. Like, even if you put in the most stringent controls on prescribing, that there are ways to dummy up prescription sheets, that they use fake phone numbers to their friend if the prescription -- if the pharmacy calls in. And that a drug like this is going to be such a hot item. The most difficult things she battles is Oxycontin, which is so popular right now on the street. And it has a really -- it's like $80 a pill at this point, because people just want to get their hands on it. And she said for something to be this pure and is snortable is a real concern for her. LABOTTWe're going to open up the phones. Again, if you'd like to join us, call 1-800-433-8850, send us an email to drshow@wamu.org. We're also on Facebook and Twitter. We're going to go to Steven in Richland, Va. Steven, you're on the air. STEVENYes, ma'am. Thank you. I would like to make a quick comment about the last thing your guest just said. I am a seven-year sober addict myself, and my addiction was to Oxycontin. And from an addict's point of view, the idea of a pure hydrocodone in a snortable form would be like Christmas. Addicts everywhere would absolutely go nuts about it. And the price of Oxycontin ten years ago in my region was $120 for an 80 mg pill. STEVENWhen the crushable or non-crushable form was released, you can see an instant drop in the usage of the Oxycontin because of the inability to receive the high that previously was available in the crushable form. LABOTTSteven, thank you so much for sharing your story with us. Dr. Singla, what do you say to what he said? I mean, you know, not everybody that -- you know, this narrow patient base is intended for are the only people getting these drugs. There are people that have pain. They start to take it and then they get addicted. And this whole proliferation of these pain killers is a dangerous problem for everybody. SINGLAI agree. It is a dangerous problem. And again, we have to be very careful to use them in the appropriate patient population. We, you know, as pain specialists have a variety of tools in our armamentarium to treat pain, again, one of which are medications. And again, we try to risk stratify our patients so that we are carefully screening for patients you potentially have a history of addiction or are prone to addiction to these medications. If a patient does become dependent or addicted to a medication, we have the appropriate resources to either ourselves or to refer them out to the appropriate practitioners to get them off of the medications. SINGLASo -- but we have to be very aware of these issues. And I think that there's -- some of the goals that we try to establish with chronic pain patients, they're not simply are we going to control your pain. That's part of it, but at the same time we want to see if we can achieve functional improvement in our patients with the use of opioids. So it's not just looking at pain and isolation. LABOTTDr. Aneesh Singla is the medical director of the National Spine and Pain Centers. And you're listening to "The Diane Rehm Show." Michael, you say we have plenty of opioids and we don't need another. CAROMEThat's correct and before I respond, by way of disclosure note that Dr. Kolodny and I were two of 42 representatives of consumer groups and other advocacy groups that signed a letter to the FDA that was mentioned at the beginning of this show. And for viewers who are interested in seeing that letter, it's available easily on our website at www.washpills.org. We do have too many opioids already. You know, we don't need another opioid on the market. CAROMEI think it's worth noting that the United States has 5 percent of the world's population approximately, yet we consume currently 99 percent of the hydrocodone drugs that are consumed throughout the world. That tells you we have a serious overprescribing problem. These drugs are heavily promoted. They are over-promoted. They are overprescribed. And it's leading to -- that pattern leads to the addiction epidemic that we're faced with. CAROMEI note that the caller who -- the first caller, his comments reflect exactly what's going to happen when this drug Zohydro enters the market. It is going to further fuel that epidemic. Purdue, the manufacturer of Oxycontin, they were previously criminally prosecuted for fraudulently -- fraudulent promotion of the drug. They were overstating the benefits, understating the risks and they were found criminally liable for that. They eventually fortunately developed an abuse-deterrent version of that drug. That didn't solve all the problems, as Andrew mentioned, but that's exactly what should be done for Zohydro before it is allowed to come on the market. LABOTTSo, Laura, who is tracking this to make sure that Zohydro, when it comes to market, is not overused and abused? Is the FDA responsible for tracking something like that or is it the company's responsibility? SULLIVANSo it's both of theirs in a way. And also the Center for Disease Control is also going to be looking at the numbers as well. But the company -- the FDA has asked the company to set up a group of people to watch this. The company says they've gone above and beyond that requirement. They have their own independent panel that work for them but they believe are independent in their ability to assess where the prescriptions are coming from, who's getting what, if there seems to be overprescribing coming out of one doctor's office or another. SULLIVANThey said that they are going to be on this like hawks, that this is something that they take very seriously. The company also told me that they are going to be providing lockboxes to customers that need them to lock them up in their houses. And that their sales reps will not be getting commissioned based on how many prescriptions are given out but based on how much education they provide. And they feel like those measures will adequately address the risks of people becoming addicted or of this drug hitting the marketplace on the street. LABOTT...marketing the drug and saying that they feel that based on their clinical trials that this would benefit their patients. And that they're going to have very strict rules and tracking about how it is prescribed. We're going to take a short break. More on the drug Zohydro, your calls and questions when we come back. LABOTTWelcome back. I'm Elise Labott, sitting in for Diane Rehm. We're talking about the new opioid drug Zohydro. I'm joined by Dr. Michael Carome of Public Citizen, Laura Sullivan of NPR and Dr. Aneesh Singla with National Spine and Pain Centers. Joining me now from her home in Cambridge, Mass., is Judy Foreman. She's a health journalist and author of the book, "A Nation in Pain." Judy, thanks for being with us. MS. JUDY FOREMANSure. Thank you for having me. LABOTTNow, you're also someone who has suffered from chronic pain. So as a patient, what do you think of the benefits versus the risks of this new drug Zohydro? FOREMANWell, as your guests have made very clear, it's a very complicated issue. And essentially we've been talking about the public health problem, which some people call an epidemic, of prescription drug abuse. But really there are two public health problems or epidemics. One is the prescription drug abuse problem, which is real and serious. The other, which to my mind is even bigger, is the underlying problem of chronic pain. FOREMANAnd unlike the people who are protesting this decision by the FDA to approve Zohydro, the pain patients aren't as organized. They have much money. They don't write to the FDA in big numbers. So their side of the story often doesn't really get told. And that's what's kind of striking me about your conversation. When I had my severe neck pain, which came on out of the blue -- ultimately I did find out a reason for it. I did take oxycodone, but these opioids are not wonder drugs. I'm the first to say, you know, many patients do need them and take them responsibly, but they're not a slam dunk. FOREMANThey have a lot of problems. And they're not even as effective as everybody would like. So it's a much more complex picture, than the drugs are all bad or all good. LABOTTSo it sounds like you think these concerns about opioid addiction are a little bit overblown. FOREMANI do, frankly. And I'd like to make a point that I think often gets lost, which is that there is a distinction to be made between addiction and dependence. Some people -- among them Dr. Kolodny -- don't think this is a distinction that makes much sense, but I've talked to over 200 pain experts for my book, pain researchers and scientists, and they do think it makes a difference, that addiction is really a disease. It's a primary neurobiological disease in which people do keep upping their doses and take the drug despite knowing it's going to do them harm, even committing crimes to take the drug. FOREMANDependence is a different thing. It's a state of adaptation of the body. The body gets used to opioids and then if you stop abruptly you will undergo withdrawal. But by and large they are two different things. Just as there are two separate populations involved. By and large you have the pain patients who are often older and who do take these opioids, generally very responsibly. Don't keep upping their doses. And then you have the people with the disease of addiction, who do the opposite. They often get the drugs illegally and do misuse them. So it's really kind of two separate things. FOREMANWell, let me read to you an email from Tina, in Falls Church. She says, "My concern is not about the possible clinical use. I leave that to the experts, but it's just crazy to introduce a drug like this without the same precautions that OxyContin manufacturer has to use. We should have learned that any drug like this needs to be manufactured so that if it's crushed it reduces the active ingredient. Drug addicts will seek this one out." What you do think of that? FOREMANWell, the whole crushable/non-crushable thing is tricky because all you would have to do is just two mini Zohydro or any drug, you could still get that overdose, not even depending on whether you crushed it or not. And it is true that when addicts were taking OxyContin and crushing it to get the whole effect, the long-term intended effect all at once, they did turn away from that because they weren't getting the high that they wanted. But again, that's not the way pain patients generally behave. So it's really sort of two separate patterns of behavior. LABOTTJudy Foreman is a journalist and author of the book, "A Nation in Pain." Judy, thanks so much for being with us. LABOTTMichael Carome, what do you think of what Judy had to say? CAROMEWell, I think it's important. And it's too bad Andrew's not on. I think pain patients, like the ones that Judy's talking about, are disproportionately being harmed by opioids in comparison to drug abusers. Drug abusers are certainly part of the problem that we're talking about. Again, we consume just a huge amount of opioids in this country. More than in any other country. And there's no evidence that we're doing a better job of controlling pain in this country than in other countries. CAROMEAnd as Andrew pointed out earlier, opioids don't work very well over all for chronic pain. So those are some of the issues that really need to be addressed. Having a tamper-resistant product doesn't eliminate all the problems, but it certainly would have been a step in the right direction towards protecting public health. LABOTTDr. Singla, what do you think? Are we too quick to prescribe these potent painkillers that are really zonking someone out, instead of looking at other forms of pain management, whether it's meditation, biofeedback, some of these -- there are a lot of treatments in Europe that have been found to be effective. SINGLAI think it's very important to utilize other alternative modalities, other than opioids when treating pain. Are we too quick to use these opioids in this country? Probably, compared to other countries. However, again, it's really got to be part of a multi-modal strategy. For example, physical therapy modalities. Potentially doing steroid injections for spinal-related pain. Again, all of these things, to some degree, are controversial, but you have to think about your patient. And when your patient's there and they're in pain you want to try to use whatever means you have in your armamentarium to try to help them. SINGLAAnd sometimes that involves multiple different treatments. Opioids, again, may be a part of that. I think that you have to, again, mitigate the risk. If you've got a patient who is at high risk of potentially abusing or misusing the drug, you have to be very, very careful in how you prescribe the opioids. You have to be carefully monitoring those patients. You have to make sure the side effects are not greater than the therapeutic benefits. LABOTTDo you think, though, that there's a good enough system in place to make sure that these are tamper resistant and not over prescribed, over abused, misused? SINGLAWell, that's an interesting point. As pain specialists, I think that we do have a very good system. However, we're not the only ones prescribing these medications. If you go to see your primary care physician, and you have let's say high blood pressure, you're going to be put on a pill for high blood pressure. And if your blood pressure isn't controlled, the primary care physician's most likely to increase that or add in a second medication so that they can control the high blood pressure and bring the numbers down. SINGLASo I think that when you use that same paradigm, which we use that paradigm in medicine in lots of different diseases, to treat pain, that's when you get into trouble. Because you can start to treat patients with opioids. They get tolerant. You give them more, you give them more, you give them more. And that's when you get the problems. And so you have to really come up with a multi-modal strategy of pain management. LABOTTAll right. Let's take another call. We're going to go to Ryan, in Houston, Texas. Hi, Ryan. You're on the air. LABOTTWe can. What's your question? RYAN…got a couple comments. I feel like the idea of regulatory capture and its influence on the fast-tracking of Zogenix has been ignored. Since it's very frequently happening in recent history that clinical trials have become less rigorous due to pharmaceutical industry lobbying, as well as regulatory capture in the FDA, which allows pharmaceutical companies an inside loop to fast-tracking drugs to market, even though they haven't really been rigorously tested. RYANAnd the second thing is if we really have a major painkiller problem, then maybe a new pill is not the answer, but doing something like other states are doing, like legalizing medical cannabis, which has proven painkilling benefits. LABOTTThanks for calling in, Ryan. Laura, what do you think of the idea that big pharmaceutical companies have too much influence in the FDA? SULLIVANWell, that's the big concern with a lot of drugs and especially this one, is that the drug companies were able to possibly tip the scales in terms of getting the research they wanted done, the way they wanted it done. And that that research may not have been as rigorous as it would have been in the past, had it not been for these new clinical trials that came out of these very private meetings that the drug companies paid to be at. SULLIVANIt raises a lot of questions about what exactly the clinical trial process was for this drug. There's no way to know if it's legitimate or not. It very possibly could be, but the problem is that it now leaves this cloud lingering over Zohydro. LABOTTWell, what do you think? Who is the ultimate person? We have an email here from Mike. He asks, "Who's the ultimate person who authorizes and approves these drugs? What is their relationship to the drug companies and do they have contacts with other government agencies that are fighting addictions? SULLIVANSo the FDA is responsible for approving these drugs. And when they sign off and approve it the drug goes to market. And it happens very fast. They approved it in October. This drug will be in pharmacies in March. They turn to their advisories panels, which are independent people. They're not paid. They represent all facets of the argument over a drug. And that advisory panel battles it out and offers its recommendation. The FDA usually follows the advisory panel. It is very rare for the FDA to overturn an 11 to 2 decision. SULLIVANThe FDA does work in concert with other federal agencies and listens to their concerns about addiction. And the FDA acknowledges, in this case, that addiction is a serious risk with this drug. But they also felt that given the clinical trials and given the research that they saw, that the data showed that this is a safe and effective drug. CAROMEJust to follow up on Laura's comments, when you go and look at the transcript again for the advisory committee meeting that turned this drug down, there are extensive comments during that meeting from FDA officials. And in reading those comments it really appears that FDA already had made a decision that they were going to approve this. And this committee meeting was sort of pro forma, and they were pushing the committee members to really not turn this drug down. And that effort was unsuccessful. CAROMESo that's one thing. In terms of the evidence that was used to approve this drug by the FDA, it was based on one clinical trial, one study in human subjects who had chronic pain. And it used a design that came out of that impact group that Laura mentioned earlier, where drug company representatives were paying some university professors to attend private meetings at which FDA officials involved in oversight of pain control drugs were at the table. And that certainly created the appearance of a pay-to-play arrangement, that obviously raises serious questions and concerns. CAROMEBut those meetings resulted in a trial design called enriched enrollment, which really biases the study design towards favoring the drug in the long run. And that type of enriched enrollment design was used for the clinical trial that resulted in the approval of Zohydro. LABOTTOkay. Let's take another call. We're going to go to Shannon, in Washington, D.C. Hi, Shannon. LABOTTHi. Thanks for calling in. What's your question? SHANNONI am actually vacationing in D.C., but I'm actually from Tampa, Fla. I'm calling in because I actually have a background in pharmaceutical sales from years ago. And I'm now currently in a Masters of social work program, getting ready to graduate. And I'm working in substance abuse. So I have a really broad perspective. I was a rep in the field. I was paid to make habits happen, as far as prescribing is concerned. And from the pharmaceutical industry it is all about the bottom line. And it's all about profits. LABOTTWhat you mean -- Shannon, let me ask you. When you say that you're paid to make habits happen, what do you mean by that? SHANNONWell, your job as a sales rep is to make habit of writing the prescription more routine. Otherwise you don't have a job. So you're paid to make your numbers. And if you look at the history of the United States and go all the way back to the tobacco farms and cigarette addiction and nicotine, and you ask yourself why are cigarettes legal? And you can call it lobbying back in the late 1800s. Why is nicotine legal? You follow the money, follow the money trail. SHANNONAnd I think this pill -- if anyone that goes into any substance abuse recovery program and sees firsthand the devastation that it has not only on individuals, but families and communities, it's just a terrible idea. Patients that really do have pain, there's I.V. drugs for that. LABOTTAll right. Thanks so much for calling. Laura, what do you think of that? SULLIVANSo she's sort of hitting the nail on the head here because when you look at the investor reports for Zogenix, the company marketing Zohydro, you really see that they're telling their investors over and over that this is for moderate pain. And it's only last year that they flipped that around and it became for severe chronic pain that can't be treated with something else. Advocates pushed them into that direction. But you wonder how they're going to pay the cost of bringing this drug to market if it's only going to be used on a very small subset of the group of people that are in pain. LABOTTAnd that raises questions about they're going to start prescribing it for people aren't necessarily long-term chronic sufferers, but have some lesser form of pain. LABOTTAnd you're listening to "The Diane Rehm Show." Aneesh, Ryan raised the idea of medical cannabis and whether we should be examining some other forms of pain management. And you did say we need to look at other types of pain management. What do you think of the idea of using more medical marijuana? SINGLASo I think that there's plenty of literature out there that supports the use of medical marijuana for medicinal purposes. So obviously it's legal in, I believe, 23 states in the country for medicinal purposes. And it's actually now available also in a couple of states for recreational purposes. So marijuana is not an opioid. It works on different receptors. And again it, to some degree, does have some real medicinal purposes in chronic pain patients. So I do think that it is a useful tool to consider. Obviously, it's still illegal in a lot of places. SINGLAYeah, I believe it is less addictive. And I also believe that it works on different receptors. So it's going to have a different affect than opioids. LABOTTMichael, what about some of the other drugs right now that look promising? Is there anything out there that you think you would feel a little bit safer than something like Zohydro? CAROMESure. All the opioid drugs certainly have some of the same risks and problems. There are certainly non-opioid drugs that for many people work. They include non-steroidal anti-inflammatory drugs, NSAIDs like Ibuprofen, Advil, acetaminophen, Tylenol. We've been doing safety reviews of drugs for four decades and doing independent reviews and sort of categorizing drugs as things that are safe to use, things that should not be used. We label them as Do Not Use, things that should be limited use. CAROMEThis is certainly a drug we would categorize as Do Not Use on our website, worsepills.org, where we provide evidence-based reviews of these types of drugs. LABOTTLaura, there's been a lot of talk about whether the FDA should re-review their approval of this drug. Do you think that's going to happen? SULLIVANThe FDA said that they have no intention of re-reviewing their approval of this drug, and that they believe that everything they've seen shows that the drug is safe, effective and needed. LABOTTThere's been a lot of political controversy also. There are a lot of senators that have written for them to review it. SULLIVANYes. There's a committee on the Hill that's looking at this. They've asked why this drug was approved and whether or not that approval should be taken back. LABOTTI want to thank our guests. Laura Sullivan of NPR, Dr. Michael Carome of the health research group Public Citizen, and Dr. Aneesh Singla of the National Spine and Pain Center. I want to thank Dr. Kolodny and Judy Foreman for calling in. And I'm Elise Labott, sitting in for Diane Rehm. Thanks for listening everybody.